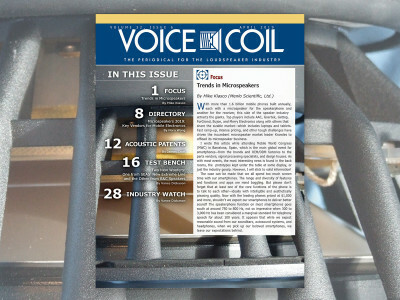 Voice Coil April 2019 is now available. In this edition, Mike Klasco discusses Microspeakers and the trends in one of the hottest loudspeaker market segments. This is followed by an up-to-date Directory on Microspeaker vendors. James Croft reviews a patent for an intriguing low-frequency enclosure system incorporating an isobaric or compound woofer enclosure. And for this month's Test Bench, Vance Dickason characterizes the SEAS L26ROY and the B&C Speakers 14NA100-8 pro sound woofer. A new analysis for 2014 titled “The Global and China Micro Electronic-Acoustics Component Industry Report, 2013-2014” was published in October 2014 by Research in China and shows that the earphone and headphone categories have been the main growth areas since the second half of 2013. 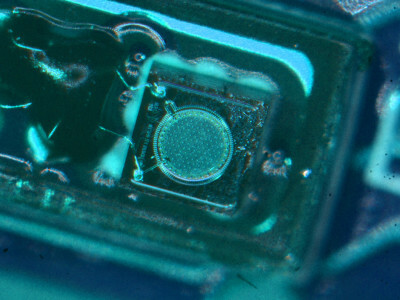 The 95 pages report provides the most recent data and information on the micro electronic-acoustics industry, detailing profiles of 21 micro electronic-acoustics manufacturers.